Well, get ready for cuteness overload! CUTENESS ALERT! My pleasure to review one of the cutest slots ever powered by WMS Gaming - OMG! Kittens. The game itself is cute'n'fluffy and hard to resist afterwards. Powered by WMS Gaming the OMG! 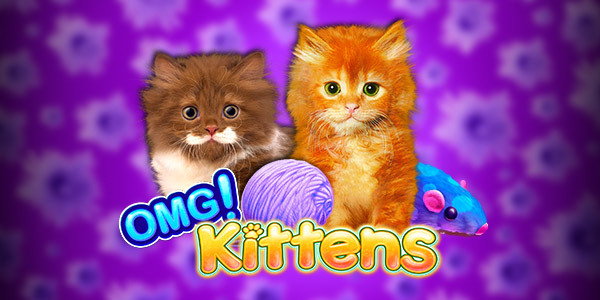 Kittens slot machine comes with 5 reels and 40 active pay lines. Meet Tiger, Bubbles and Mr. Whiskers - stacked symbols, counted as one and featuring up to 100x multiplier separately. The OMG! Bonus free spins a so-called a Bonus Guarantee feature of 10x your total bet. Free Spin Bonus is guaranteed to award a min of 10x total bet. Any bonus ending with less than 10x total bet will be automatically increased to 10x total bet at the end of the bonus. WMS Gaming, a subsidiary of WMS Industries, is a developer of slot machines, video lottery terminals and software established in 1994. WMS Industries history goes date back to 1943, when Williams Manufacturing Company was founded. WMS Gaming delivers online and mobile games. The company is based in Chicago, Illinois. WMS Industries was fully acquired by Scientific Games Corporation in 2013.